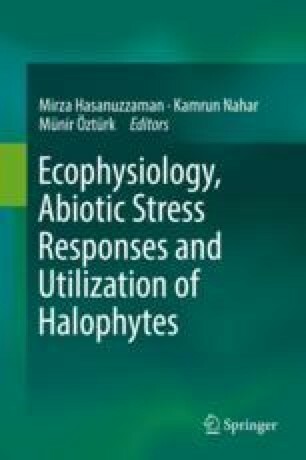 Halophytic plants that grow in an extensive range of saline soils have significant economic importance, with potential for use in environmental restoration and therapeutic medicine. Halophytes live in coastal regions, from salt-marshy mudflats to inland deserts. They are traditionally used for medicines and the release of bioactive compounds, such as terpenes, phenols, antioxidants, and anticarcinogenics. These compounds can also be potentially used as medicines. The literature reveals that different types of medicines obtained from coastal and near-coastal species have been used by local inhabitants. The present review focuses on the potential use of halophytes as medicines and their utilization at local and industrial levels.